There is so much good music tomorrow night, there are plenty of options on the calendar. 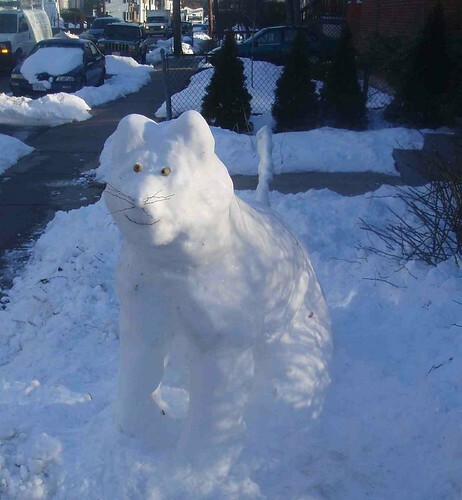 Before it gets any later, you should know about the Snow fun in Somerville. As part of their 15th anniversary, Anna's Taqueria is offering freebies on the 15th of the month through May. This Saturday is a Mexican coffee (with the order of any burrito, taco, quesadilla, or plate). The folks at nearby art space Artisan's Asylum have put together a few hours of creative snow play. Grab your gloves and jackets and come help us build snow forts, scenes from Calvin & Hobbes, elaborate snow sculpture and anything else you can imagine! Even if you don't have an idea for an art piece, come by anyway and help us lug massive amounts of snow around the square. Some shovels will be there for anyone to use, but feel free to bring whatever tools work for you. You can also enjoy a complimentary Mexican hot chocolate from Cantina La Mexicana. If that's not enough art for you, there's an art reception at the Washington Street Art Center at 7pm.